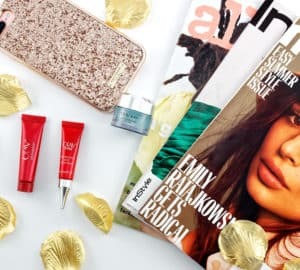 I love Allure magazine’s recommendations on a whole host of beauty products. 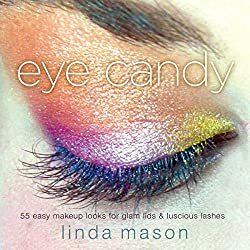 I am especially attuned to their skin care suggestions because, well, I am not getting any younger, plus I have been using wrinkle cream and other skin care products since I was about twelve years old. 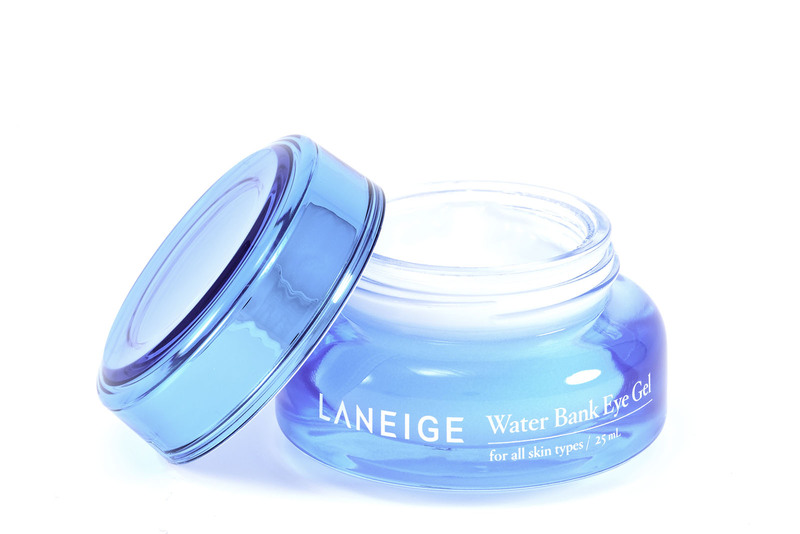 When I saw Allure‘s recent suggestion of Laneige Water Bank Eye Gel, I was a bit skeptical because there are seemingly thousands of eye creams on the market today. Each one promising to make you look younger, to diminish wrinkles and age spots and all kinds of other things. I have always just wanted a great moisturizer that will keep the wrinkles at bay. Guess what? I believe I found it in Laneige! 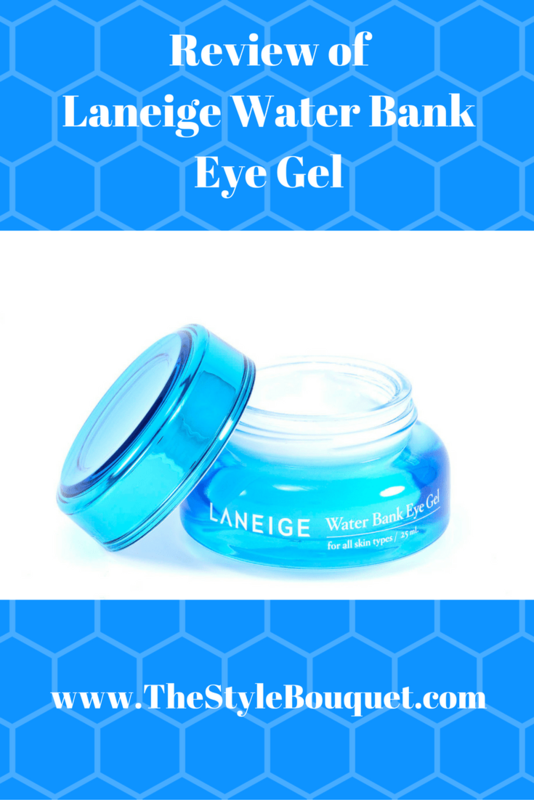 This eye gel is AMAZING! After using it at night, I wake up in the morning with my eyes feeling soft and hydrated. When I look in the mirror, my eyes are bright and I look like I have gotten a great night’s sleep. After trying many creams and gels over the years, I have finally found one about which I am head over heels. Some people ask me both on my blog and in person about my beauty routine and if I have any secrets. I have no secrets. 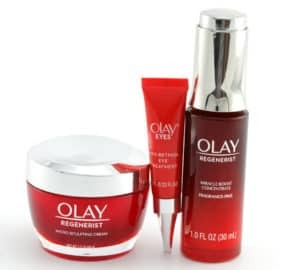 I love trying new products, but also sticking with tried and true products like Olay Regenerist which has worked for me for many years. My biggest beauty secret? I rarely, if ever, get out in the sun. Yes, I live in Florida and it is somewhat hard to do, but I stay out of the sun. It is the best way to stay young. It prevents wrinkles and your skin’s texture from becoming leather-like. Of course, it also drastically reduces your chances of developing skin cancers. I believe that staying out of the sun is the reason that I have yet to have a wrinkle (of course, good genetics play a role too!). 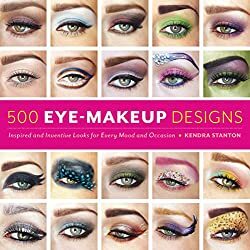 Amazon.com also has some great books on eye makeup to show off your beautiful eyes after using Laneige Water Bank Eye Gel. If you would like more information on the topics, just click on the book covers below! I committed the cardinal sin of sunning while younger, but thankfully I almost always applied SPF lotion. It also helps that I live in NYC (shielded by big buildings most of the time). What’s against me is pollution. I recently noticed fine lines around my eyes and on my forehead, and they’re freaking me out! LOL. If this works for you, I actually would love to try it. Your skin looks great! I used La Prairie products for a while, and they were fantastic but SO expensive. Ever since I haven’t found a product base I could stick with. I ordered the Laneige Eye Gel from Amazon.com and I think it was around $30. I’m almost 39 with the big 4-0 looming soon so I’m getting serious about skin care, especially my eyes since that’s where age generally is shown. I’m so partial to Olay because that’s what I’ve always used. 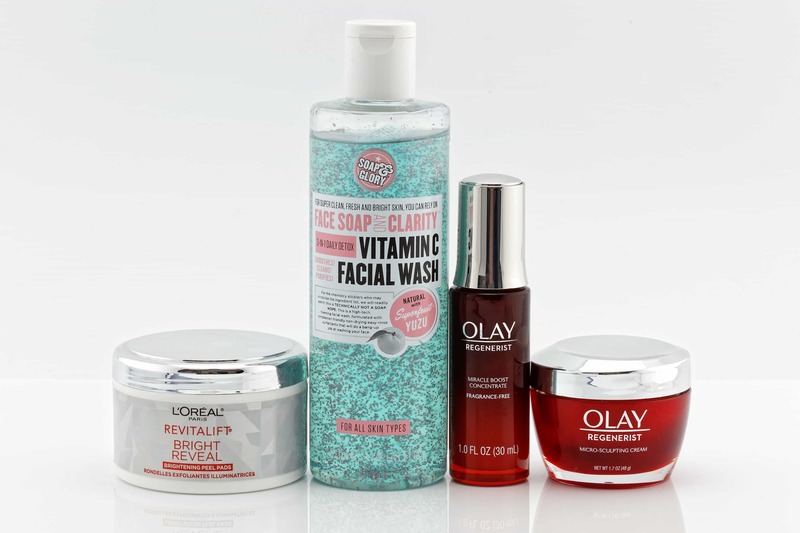 My grandmother had great skin and always shared her bottle of Olay with me. It was like the version 1.0 back then but I fell in love with the product. When I tried Laneige, I fell in love with how it made my eyes feel! It was wonderful. I just use the Olay products on the rest of my face and neck. I hope this is helpful to you. Everyone should have skin they adore! Love this! I have been looking for a good eye cream! Thanks for the recommending this eye cream. Needless to say being somewhat older I am always looking and trying new products. Thanks Vickie! I’m now officially in love with this eye gel. I use it every night! I’ve been looking for a good eye cream and I’d love to give this one a go! I love it and I hope that you do too!